Well there you have it Samoa. The much-anticipated outcome of the Cabinet ordered Tribunal to investigate the conduct of the Director of the National Prosecution Office (N.P.O. ), Mauga Precious Chang, is out in the open. And the verdict is quite clear. As most of us know by now, Prime Minister Tuilaepa Sa’ilele Malielegaoi had been asked to remove Mauga from office. But it appears Mauga and her Assistant Director, Muriel Lui, have beaten Cabinet to the punch. On Monday, they submitted their resignations so that today, the N.P.O is without two of its most senior officers. 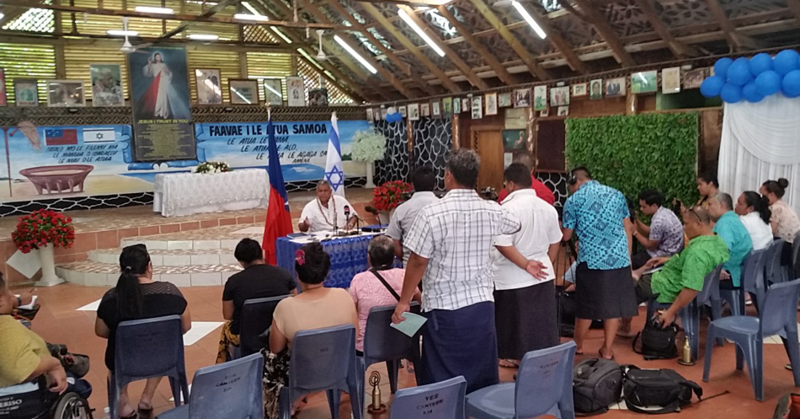 This is the latest development in this long drawn out saga, which has seen the legal fraternity in Samoa embroiled in the sort of controversy fit for a movie plot. Indeed, we’ve seen many twists and turns. Some will be talked about for months and years to come. As for the recently established N.P.O., well that looks like it’s on the outer. When that will happen, we don’t know. What we do know is that the findings of the Tribunal appointed by Cabinet to investigate Mauga’s conduct have raised eyebrows everywhere. The Tribunal was asked to review the Director’s handling of three separate events including the delegation of the power of prosecution in a matter where she was directly implicated, the unauthorised investigation of the Police Commissioner and her contact with the N.P.O. while she was suspended. In all three instances, the Tribunal found Mauga’s conduct unacceptable. “Unfortunately, we are obliged to recommend that Ms. Chang should be removed from Office,” the report reads. “On the delegation point, she was badly in error despite the warning of senior public servants including the A.G. and the Prime Minister as Minister for the N.P.O. Act that she should separate herself entirely from the prosecution of herself. “This matter required the application of wisdom and common sense but sadly, this was not reflected in the decisions she made. The obligations she was under were significant constitutional prescriptions. “Yet when suspended she determinedly clung to the position she had taken up. This was all contrary to public service values. “She ignored the conflict and impropriety that facing charges in her personal capacity, she still sought to appoint her own choice of prosecutor. “This was easily the most significant concern to all who have had occasion to consider this case. All things considered, we do not and we must not condone the behaviour of Mauga as the Tribunal Report highlights. Her conduct is a real indictment on the work of the N.P.O. There are a lot of lessons to be learnt and they go both ways. But in every story, there are always two sides. It would be great to hear from Mauga as to her thoughts about everything that has happened. But then given that she has resigned, we might never know now. And with that, we hope this nasty episode has finally ended. But here’s the thing. The questions and decisions should not stop with Mauga’s resignation. Who appointed her? Who was responsible for her? And what is the government’s role in all this? Why did it allow such a petty clash of personalities to continue unabated so that today we have wasted thousands of taxpayers’ tala in these expensive proceedings? The government has got to be held accountable for this. Now Mauga has done the honourable thing and resigned. She has paid the price. But what about instances if “corrupt practices,” the blatant abuse of power, positions, government properties and collusion we’ve seen over the years? Sure what Mauga had done was wrong as the Tribunal found. But what about the others in government? We cannot isolate a single incident. We have to look at the system, decency and the values that have been compromised over the years where wrongdoing and wrong behavior have been legitimised. What we are seeing – including this latest incident with the legal fraternity - is merely a reflection of a system that is failing. It has been compromised and the standards have been lowered so much to the point where anything goes. We commend the Tribunal for its work. But let’s look at the bigger picture. If we want to hold Mauga accountable - which the government has - it should apply the same principle across the board. What about instances where Cabinet Ministers have been implicated in far more serious cases of wrongdoing and yet they are allowed to get away scot free? The question remains, what does Mauga know that she is not telling us?